Drilling equipment suggests the highest requirements to process reliability and quality. To ensure the effectiveness and efficiency of drilling operations, minimization of equipment wear is of great importance. In addition, operational safety is a key factor in complying with the environmental requirements for oil and gas production. ArSibMash ООО (LLC) and KVT Kurlbaum AG make their significant contribution to these objectives. Reliability, long service life and efficiency of equipment in the oil and gas industry depend on possibility to minimize wear. This is the point where design secrets that give benefits to producers are hidden. In this area, ArSibMash ООО (LLC) is a reliable partner ensuring rapid development and showing evidence of its effectiveness as a strategic partner in the oil and gas industry. In addition to applying coating on components and assemblies, our company becomes a reliable partner of the customer in the development and improvement of technologies from the very beginning relentlessly fighting for minimization of wear and corrosion. And this is the main benefit of the customer. Following our strategy: «Think of the value of the product and increase production cycles to save resources» we focused on industries where wear and corrosion prevention is of particular importance for equipment and safety. The proven quality of our work is valuable in extreme conditions, as it is aimed at conserving resources. We believe that the future belongs to metal sealing systems! Why is this so? 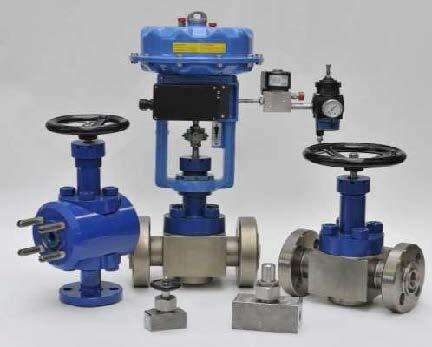 Requirements to modern ball valves with respect to temperature, pressure, abrasive wear and flow rates increase. 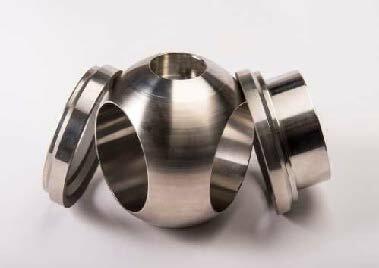 Development of high-pressure fittings for gas production complex is our special proud. All our experience in production of high-quality long-term materials and up-to-date coating technologies was used by us when developing a special valve production program. In addition, we design and produce valves according to individual customer requirements to meet the highest quality and guarantee a long service life. ArSibMash ООО (LLC) fittings can be fully relied on in any situations – in case of continuous wear, extreme temperatures, great pressures, exhaustible rate of operations and high workflow rates. As control devices for process piping. Booster compressor stations (BCS): BCS gas output (PN9 MPa). Oil bed waterflooding systems: control of flow/pressure in pipework of modular group piping stations/boring pipes (PN19…20 MPa). Complex gas treatment plant (CGTP), lease gas, gas for a heat exchanger, gas for ejector unit, dehydrated gas for own needs, weathering gas from separator unit, gas condensate from inlet separators (PN6.32 … 7.85 … 14.0 MPa). As fitting for process piping to block reverse fluid flow. Oil bed waterflooding systems: in pipework of modular group piping stations/boring pipes (PN19…20 MPa). Chemical input coupling: on chemical line before junction with the product (oil, water) pipeline (PN10 MPa). As stop devices at process pipelines. Moreover, they can be used in a gas-lift complex (PN up to 15 MPa) and gas injection systems (PN up to 15 MPa) at oil fields.